Madeleine QUESNEL was born on Nov 1, 1759 in Lachine, Quebec, Canada. Parents: Jean Baptiste QUESNEL and Marie Helen PICARD. Marguerite QUESNEL. Parents: Joseph QUESNEL and Louise LECUYER. Spouse: Charles GIROUX. Charles GIROUX and Marguerite QUESNEL were married in 1839. Marguerite QUESNEL was born on Nov 14, 1756 in Lachine, Quebec, Canada. She died on Jun 18, 1799 in Lachine, Quebec, Canada. Parents: Jean Baptiste QUESNEL and Marie Helen PICARD. Marguerite QUESNEL was born on Sep 29, 1840 in St-Clement-De Beauharnois, Quebec, Canada. Parents: Joseph QUESNEL and Julie PRUD'HOMME. Marguerite Hedwidge QUESNEL was christened on Feb 12, 1836 in Rigaud, , Quebec. She was born in 1836. She has Ancestral File Number 1QG7-BML. Parents: Benjamin Daniel QUESNEL and Marie ST. DENIS. Marguerite Sourie QUESNEL was born on Oct 18, 1806 in Rigaud, Quebec, Canada. She died on May 31, 1851 in Lachine, Montreal, Quebec, Canada. Parents: Antoine QUESNEL and Marguerite Eugene LAROCQUEBRUNE. Margurite QUESNEL was born on Apr 19, 1789 in Lachine, Quebec, Canada. Parents: Jean Louis Toussaint QUESNEL and Marie Josephte MALETTE. Spouse: Gabriel, III DE QUESNEL. Gabriel, III DE QUESNEL and Margurite Du QUESNEL were married in 1637. Marie QUESNEL was born on Mar 4, 1782 in Lachine, Quebec, Canada. She died on Feb 16, 1809 in Lachine, Quebec, Canada. 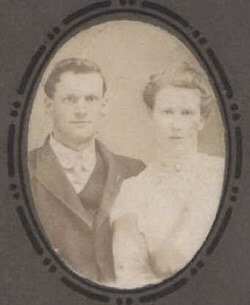 Parents: Jean Louis Toussaint QUESNEL and Marie Josephte MALETTE. Marie QUESNEL was born on Sep 25, 1875 in Montreal, Quebec, Canada. She died on Feb 12, 1920 in Montreal, Quebec, Canada. Parents: Louis QUESNEL and Maria Marguerite Zoe GAUVREAU. [NEED TO DEFINE SENTENCE: Christened] Marie Anne QUESNEL was buried on Nov 16, 1785 in Vaudreuil, Quebec. Parents: Antoine QUESNEL and Elizabeth SEGUIN. Marie Anne QUESNEL was born on Apr 6, 1718. She was christened on Apr 6, 1718 in Montreal, Ile-De-Montreal, Quebec, Canada. She has Ancestral File Number 14KT-1XG. Parents: Jean Baptiste QUESNEL and Jeanne AUBUCHON. Marie Anne QUESNEL was born in 1742. She was christened on Aug 28, 1742 in Oka, , Quebec. She was buried on Sep 28, 1785 in Vaudreuil, , Quebec. She has Ancestral File Number 1QG7-D3M. Parents: Michel Antoine QUESNEL and Angelique LAFEUILLADE. Marie Anne QUESNEL was born on Jun 27, 1784. She was christened on Jun 27, 1784 in Vaudreuil, , Quebec. She was buried on Nov 16, 1785 in Vaudreuil, , Quebec. She has Ancestral File Number 1QG7-CV7. Parents: Antoine QUESNEL and Elizabeth SEGUIN. Marie Antoinette QUESNEL was born in 1817 in Ste-Philomene, Chateaugay, Quebec, Canada. Parents: Joseph QUESNEL and Louise LECUYER. 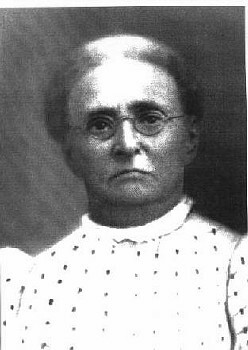 Marie Azilda QUESNEL was born in 1846. She was christened on Aug 22, 1846 in Rigaud, , Quebec. She was buried on Sep 27, 1847 in Rigaud, , Quebec. She has Ancestral File Number 1QG7-BTT. Parents: Benjamin Daniel QUESNEL and Marie ST. DENIS. Marie Elisabeth QUESNEL was born on Feb 29, 1692 in Montreal, Montreal, Quebec, Canada. She was christened on Feb 29, 1692 in Montreal, Montreal, Quebec, Canada. She died on Jun 6, 1699. She was buried on Jun 6, 1699 in Montreal, Quebec, Canada. She has Ancestral File Number 1Q8L-GL0. Parents: Olivier QUESNEL and Catherine PRUD'HOMME. Marie Elizabeth QUESNEL was born on Jun 16, 1802 in Oka, Quebec, Canada. She died on Aug 6, 1802 in Vaudreuil, Quebec. Parents: Antoine QUESNEL and Marguerite Eugene LAROCQUEBRUNE. Marie Euphrosine QUESNEL was born on Jul 27, 1791 in Oka, Quebec, Canada. She died on May 8, 1825 in Rigaud, Quebec. Parents: Antoine QUESNEL and Marguerite Eugene LAROCQUEBRUNE. Marie Georgine QUESNEL was born in 1840. She was christened on Nov 28, 1840 in Rigaud, , Quebec. She has Ancestral File Number 1QG7-BQ7. Parents: Benjamin Daniel QUESNEL and Marie ST. DENIS. Marie Hippolyte QUESNEL was born in 1750. She was christened on Sep 3, 1750 in Oka, , Quebec. She was buried on Sep 23, 1750 in Oka, , Quebec. She has Ancestral File Number 1QG7-D68. Parents: Michel Antoine QUESNEL and Angelique LAFEUILLADE. Marie Joseph QUESNEL was born on Apr 27, 1878 in Montreal, Quebec, Canada. He died on Feb 27, 1951 in Montreal, Quebec, Canada. Parents: Louis QUESNEL and Maria Marguerite Zoe GAUVREAU. Spouse: Edith GILLIES. Marie Joseph QUESNEL and Edith GILLIES were married in Montreal, Quebec, Canada. Children were: Joseph Louis QUESNEL. Spouse: Elizabeth BROWN. Marie Joseph QUESNEL and Elizabeth BROWN were married in Montreal, Quebec, Canada. Children were: Catherine QUESNEL. [NEED TO DEFINE SENTENCE: Christened]Marie Josephite QUESNEL. Parents: Antoine QUESNEL and Elizabeth SEGUIN. Marie Josephite QUESNEL was born on Aug 6, 1766. She was christened on Aug 6, 1766 in Oka, , Quebec. She has Ancestral File Number 1QG7-CLK. Parents: Antoine QUESNEL and Elizabeth SEGUIN. Marie Josphte QUESNEL was born on Nov 20, 1724 in Lachine, Quebec, Canada. She died on May 10, 1805 in Sault Au Recoilet, Quebec. Parents: Jean Baptiste QUESNEL and Jeanne AUBUCHON. Marie Leocadie QUESNEL was christened on Jan 1, 1856 in St. Andre, D'avelin, Quebec. She was born in 1856. She has Ancestral File Number 1QG7-BZN. Parents: Benjamin Daniel QUESNEL and Marie ST. DENIS. Marie Louise QUESNEL was christened on Mar 23, 1850 in Rigaud, , Quebec. She was born in 1850. She has Ancestral File Number 1QG7-BW8. Parents: Benjamin Daniel QUESNEL and Marie ST. DENIS. Marie Madeleine QUESNEL was born on May 17, 1701 in Lachine, Montreal, Quebec, Canada. She was christened on May 17, 1701 in Lachine, Montreal, Quebec, Canada. She has Ancestral File Number 1Q8L-GND. Parents: Olivier QUESNEL and Catherine PRUD'HOMME. Marie Madeleine QUESNEL was born on Feb 21, 1707 in Lachine, Montreal, Quebec, Canada. She was christened on Feb 21, 1707 in Lachine, Montreal, Quebec, Canada. She has Ancestral File Number GCM2-DJ. Parents: Jean Baptiste QUESNEL and Marie GOURDON. Spouse: Jean CHASLE. Jean CHASLE and Marie Madeleine QUESNEL were married on Jan 7, 1726 in Lachine, Quebec, Canada. Marie Olympe QUESNEL was christened on Feb 8, 1848 in Rigaud, , Quebec. She was buried on Jun 4, 1848 in Rigaud, , Quebec. She was born in 1848. She has Ancestral File Number 1QG7-BV2. Parents: Benjamin Daniel QUESNEL and Marie ST. DENIS. Marie Reine QUESNEL was born on Dec 15, 1792 in Oka, Quebec, Canada. She died on Apr 8, 1879 in Ste Marthe, Quebec. Parents: Antoine QUESNEL and Marguerite Eugene LAROCQUEBRUNE. Marie Reine QUESNEL was christened on Feb 1, 1834 in Rigaud, , Quebec. She was born in 1834. She has Ancestral File Number 1QG7-BK6. Parents: Benjamin Daniel QUESNEL and Marie ST. DENIS. [NEED TO DEFINE SENTENCE: Christened]Marienne QUESNEL. Parents: Jean Baptiste QUESNEL and Jeanne AUBUCHON. Michel QUESNEL was born in 1739. He was christened on Aug 31, 1739 in Ste Anne Du Bout, De L'ille, Quebec. He has Ancestral File Number 1QG7-D2F. Parents: Michel Antoine QUESNEL and Angelique LAFEUILLADE. Michel Antoine QUESNEL was born on Oct 25, 1705 in Lachine, Montreal, Quebec, Canada. He died on Jun 17, 1760 in , , Quebec. He has Ancestral File Number GCM3-0L. [family.FTW] Parents: Jean Baptiste QUESNEL and Marie GOURDON. Spouse: Angelique LAFEUILLADE. Michel Antoine QUESNEL and Angelique LAFEUILLADE were married on Apr 9, 1736 in Ste Anne De Bout, De L'ille, Quebec. Children were: Antoine QUESNEL, Angelique QUESNEL, Marie Anne QUESNEL, Louis QUESNEL, Bernardin QUESNEL, Marie Hippolyte QUESNEL, Charles QUESNEL, Jean Baptiste QUESNEL, Amable QUESNEL, Michel QUESNEL. [family.FTW] Parents: Pierre QUESNEL and Marie POULARD. Spouse: Catherine PRUD'HOMME. Olivier QUESNEL and Catherine PRUD'HOMME were married on Jan 15, 1680 in Montreal, Montreal, P Q. Children were: Jean Baptiste QUESNEL, Jacques Francois QUESNEL, Jean Pierre QUESNEL, Charles QUESNEL, Marie Elisabeth QUESNEL, Dominique QUESNEL, Raymond QUESNEL, Joseph QUESNEL, Marie Madeleine QUESNEL, Joseph QUESNEL, Louise QUESNEL. [NEED TO DEFINE SENTENCE: Christened]Paschal Benjamin QUESNEL. Parents: Antoine QUESNEL and Elizabeth SEGUIN. Paschal Benjamin QUESNEL was born on Mar 23, 1788 in Vaudreuil, Quebec, Canada. He died in 1815. He was christened. He has Ancestral File Number 1QG7-CWF. Parents: Antoine QUESNEL and Elizabeth SEGUIN. Paul QUESNEL was born on Aug 4, 1816 in St Joachim, Chateaugay, Quebec, Canada. Parents: Joseph QUESNEL and Louise LECUYER. Philomene QUESNEL was born on Jan 10, 1838 in Ripon, Quebec, Canada. She died on Sep 2, 1883 in Muskegon, Michigan, USA. [family.FTW] Parents: Benjamin Daniel QUESNEL and Marie ST. DENIS. Spouse: Alexis Lorrain LAURINE. Alexis Lorrain LAURINE and Philomene QUESNEL were married on Oct 1, 1855 in St. Andre, D'avellin, Quebec, Canada. Children were: David Joseph LAURINE, Napoleon J. LAURINE, Enrelie LAURINE, Maude LAURINE, Alexis A LAURINE, Emile LAURINE. Philomene QUESNEL was born on Apr 27, 1850 in St-Clement-De Beauharnois, Quebec, Canada. Parents: Joseph QUESNEL and Julie PRUD'HOMME. Philomene QUESNEL was born on Sep 8, 1884 in Montreal, Quebec, Canada. Parents: Louis QUESNEL and Maria Marguerite Zoe GAUVREAU. Pierre QUESNEL was born about 1630 in , , France. He has Ancestral File Number GCM3-49. Parents: George DE QUESNEL and Charlotee DEMALVOUE. Spouse: Marie POULARD. Children were: Olivier QUESNEL, Helene QUESNEL. Pierre QUESNEL was born in 1894. Parents: Louis QUESNEL and Maria Marguerite Zoe GAUVREAU. Pierre Alphonse QUESNEL was christened on Feb 1, 1844 in Rigaud, , Quebec. He was born in 1844. He has Ancestral File Number 1QG7-BSM. Parents: Benjamin Daniel QUESNEL and Marie ST. DENIS. Raymond QUESNEL was born on Jul 14, 1697 in Montreal, Quebec, Canada. He was christened on Jul 14, 1697 in Montreal, Quebec, Canada. He has Ancestral File Number 1Q8K-FGT. Parents: Olivier QUESNEL and Catherine PRUD'HOMME. Rose QUESNEL was born on Jan 27, 1800 in Oka, Quebec, Canada. She died on Aug 20, 1891 in St Andree Avelin, Quebec. Parents: Antoine QUESNEL and Marguerite Eugene LAROCQUEBRUNE. Toussaint QUESNEL was born on Oct 31, 1794 in Lachine, Quebec, Canada. He died on Jan 15, 1816 in Chateauguary, Quebec. Parents: Jean Louis Toussaint QUESNEL and Marie Josephte MALETTE. Spouse: Marie GIBEAU. Toussaint QUESNEL and Marie GIBEAU were married on Feb 26, 1838 in Saint Constant, Laprairie, Quebec. [NEED TO DEFINE SENTENCE: Christened] Venant QUESNEL was buried on Dec 4, 1775 in Vaudreuil, Quebec. Parents: Antoine QUESNEL and Elizabeth SEGUIN. Venant QUESNEL was born on May 13, 1773 in Oka, Quebec, Canada. He was buried on Dec 4, 1775 in Vaudreuil, , Quebec. He was christened. He has Ancestral File Number 1QG7-CP6. Parents: Antoine QUESNEL and Elizabeth SEGUIN.